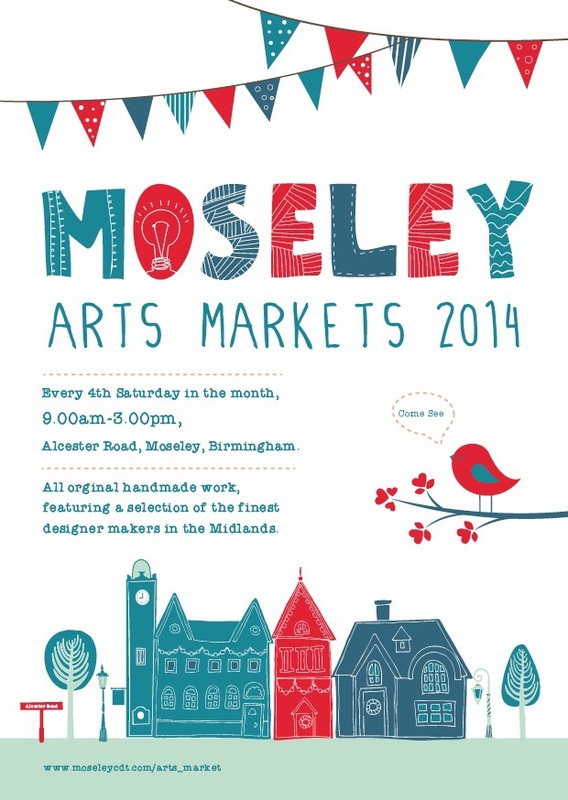 Moseley Arts Market is making it's after a winter hiatus and the list of stallholders is a treat. Birmingham locals like Laura Bodimead who creates bespoke pieces of jewellery, artist Ken Hurd whose work include fine art, and John Gage who provides local photography, for your viewing pleasure. If that's not enough, see Jane Anderson for clever illustrations, Clare Wainwright for some (not so holy) stained glass, Laura Berry for textile pieces, and Malgorzata Weber for cool leather handbags, and that's just a handful of the stall holders. Everything on sale is local, so you're supporting the economy by helping to build up Birmingham, and West Midlands craft, which is undoubtedly better quality, and has been made with more passion than something you'd find on the High Street. All things art and craft couldn't come to a better part of Birmingham: Moseley is teeming with creatives, but if you're not local, Moseley is only a ten minute drive out of the city with good traffic. If you can't make this weekend's don't worry, it will be back the fourth Saturday of every month.